Hanoi (VNA) – Low-cost carrier Vietjet Air will offer 1.1 million super saving tickets priced only from 0 VND on three golden days from April 3 to April 5 on the occasion of its opening five new routes from the Mekong Delta city of Can Tho. The promotional tickets are available on website www.vietjetair.com during golden hours from 12 p.m to 14 p.m, applied for all Vietnamese domestic routes. Flying time is from June 4 to December 31, 2019. Welcome vibrant summer, Vietjet opens sales on two new routes from Can Tho to the beach city of Nha Trang (south central Khanh Hoa province) and the Central Highlands resort city of Da Lat (Lam Dong province). Flights on those two new routes will operate from April 26. Earlier March, Vietjet also opened three routes from Can Tho to the northern port city of Hai Phong, and the two central provinces of Nghe An and Thanh Hoa. Thanks to the new routes, Vietjet will be the airline having the most routes and flights from and to Can Tho. With a network comprising 39 domestic routes and 69 international routes, Vietjet operates safe flights with a technical reliability rate of 99.64 percent — the highest rate in the Asia Pacific region. As a fully-fledged member of International Air Transport Association (IATA), Vietjet has obtained the IATA Operational Safety Audit (IOSA) certificate and has been awarded a 7-star ranking, the world’s highest rate for safety, by AirlineRatings. 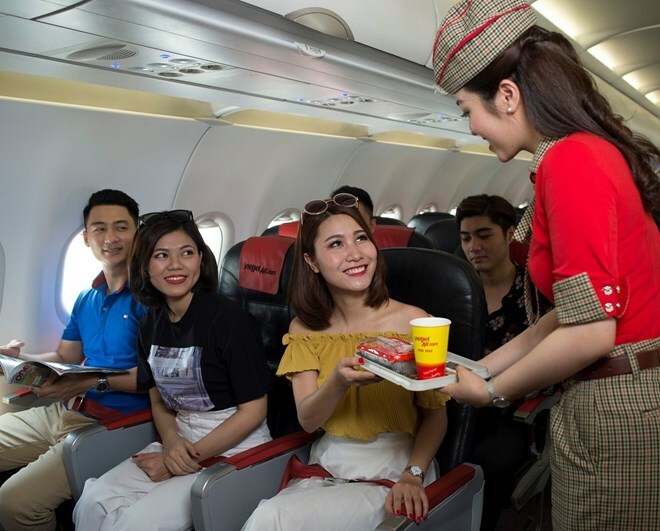 Vietjet is the first airline in Vietnam to operate as a new-age airline offering flexible, cost-saving ticket fares and diversified services to meet customers’ demands. It provides not only transport services but also uses the latest e-commerce technologies to offer various products and services for consumers. The airline has also been listed as one of the world's 50 best airlines for healthy financing and operations by Airfinance Journal in 2018.